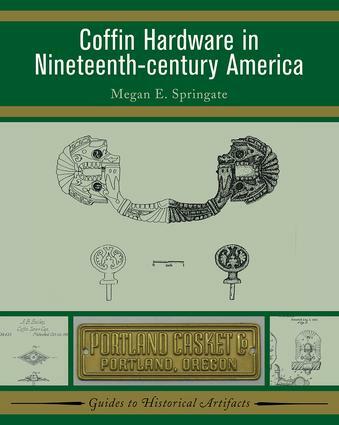 Using data from archaeological excavations, patent filings, and marketing catalogs, this book provides a broad view of the introduction, spread, and use of mass-produced coffin hardware in North America. At the book's heart is a standardized typology of coffin hardware that recognizes stylistic and functional changes and a fresh look at the meanings and uses of the various motifs and decorative elements. Within the discussion of mass-produced coffin hardware in North America is new work connecting the North American industry with its British antecedents and a fresh analysis of the prime factors that led to the introduction and spread of mass-produced coffin hardware. Extensively illustrated with examples of coffin hardware to aid scholars and professionals in identification.